Aquamarine sea meets secluded coves and busy beaches on Ko Samet, one of Thailand’s most popular islands. Crowds of foreign tourists, expats and Thais have reinvented this one-time backpacker bastion as a relatively pricey destination, especially at peak times of year. Though not our favourite island by any stretch, Samet does make a handy getaway from Bangkok. No fewer than 16 beaches offer a variety of different scenes, often with white sand so fine that it’s like stepping on silk-feather pillows. The longest, Haad Sai Kaew, resembles parts of Phuket with its large-scale resorts and fleets of speedboats. Head further south to find a “lifestyles of the rich and famous” vibe on Ao Phrao; a comfy family-friendly setup on Ao Wong Duean; and a lazy beach-bum attitude on Ao Sang Thian. Near the end of Samet’s long tail, stunning Ao Wai feels like a totally different island when compared to the busier beaches. Thais know Samet as the setting for a 30,000-line epic by Sunthorn Phu, a famous 19th-century poet from the nearby town of Klaeng who called the island Ko Kaew Pitsadan, or “Magic Crystal Island.” With help from a few mermaids and hermits, the namesake character of Phra Aphai Mani kills a jealous giantess with his magic flute while on a tumultuous path to kingship. The toothy ogress welcomes visitors to Nadan Pier, while Phra Aphai is shown fluting away alongside a mermaid at the southern end of Haad Sai Kaew. Most of Ko Samet is part of the Khao Laem Ya-Mu Ko Samet National Park, which opened in 1981 on “protected” land that was dished out in large slices for lucrative private development. The park also covers Khao Laem Ya cape on the mainland along with a clutch of smaller islands that can be hit on a day trip from Samet, including marvellous Ko Thalu. In recent years the park has added a visitor centre at Haad Sai Kaew with public restrooms, info boards and maps, so at least it offers something in exchange for all of those 200-baht tickets. Today Ko Samet competes with Hua Hin as the beach playground of choice for middle- to upper-class Thais from Bangkok. Boatloads of mainland Chinese and other Asian tourists have also joined the Westerners, including many expats from nearby Pattaya. 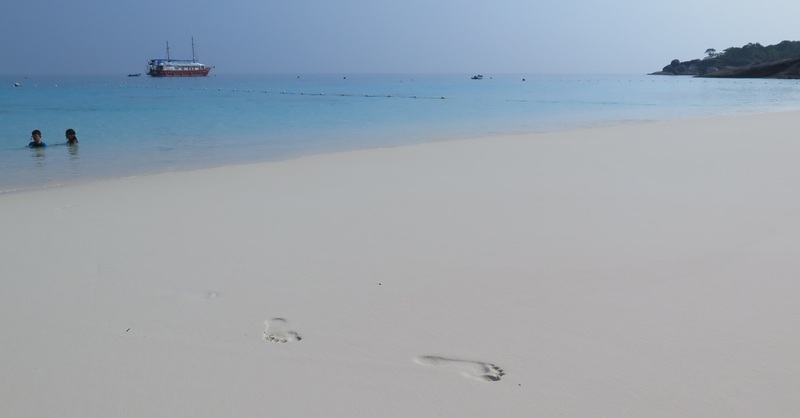 The island bursts at the seams as room rates jump by up to 50 percent on weekends and holidays during the dry months. Plan for a midweek stay if possible, and reserve a room well in advance if coming around the Western, Chinese or Thai New Year. Ko Samet stays fairly busy even in the rainy months; some of the hotel staffers can hardly hide how bad they need a holiday. As with other popular and relatively small Thai islands like Ko Phi Phi and Ko Lipe, Ko Samet faces serious environmental challenges. Plastics are still burned among rubbish in places and the tap water can smell like rotten eggs (at least at some resorts). Mosquitos infest the island; dengue fever poses a significant threat so do use that mozzie repellent. These issues aside, we were pleased to find all of the beaches exceptionally clean at research time in early 2016. Beginning in late 2014, Thai military officials banned ATVs, regulated beach chairs and halted loud music after 23:00 across the island. The late-night party ban was a setback for the beach bars on Haad Sai Kaew, Ao Hin Khok and Ao Phai that once thumped into the wee hours. We’ve heard that major new development is slated for Samet Village — don’t be surprised to find stacks of concrete units under construction by 2018. Part of Rayong province in East Thailand, Ko Samet (also spelt Samed) is located 200 kilometres southeast of Bangkok, 70 kilometres east of Pattaya and a little more than 200 kilometres west of the Cambodia border. It’s accessed from the mainland town of Ban Phe. Though Samet sees some rain from May to November, the storms are generally mild when compared to those that lash the Ko Chang archipelago. Riptides do however occur with some frequency off Samet’s east coast — a swimmer tragically drowned off Ao Phai during our March 2016 visit. Keep an eye out for the red flags that are placed on the beaches when the surf is potentially dangerous. Samet is shaped something like a stingray, with a three-kilometre-wide triangular “head” to the north and a long, thin tail stretching seven kilometres to the south. Jungle-clad hills blanket a modest swathe of the northern interior. Completed in 2015, a sealed road runs all the way to the far southern tip of the island. While the west coast consists mainly of rocky cliffs apart from Ao Phrao, the east coast boasts nine different beaches, many of them set in small coves. The island’s main ferry pier, Nadan, is found on the north coast, just east of Ao Noi Na, the only north coast beach apart from a scrubby patch of sand next to the pier. Green songthaews shuttle passengers to their resorts of choice, though keep in mind that places to stay in Ao Noi Na, Samet Village, Haad Sai Kaew and Ao Hin Khok can all be fairly easily reached on foot from the pier. Along a narrow 800-metre road that cuts south from Nadan Pier, the tightly packed Samet Village (or Nadan Village) includes an international medical clinic, local medical clinic, police station and temple along with several convenience stores, ATMs, restaurants, pubs, travel offices, massage shops, internet cafes, motorbike/bicycle rental shops and cheapish guesthouses. While the atmosphere is tacky and slightly seedy in a couple of spots, the village offers the widest selection of food and travel services found on Samet. Heading south, the village road runs straight into a national park visitor centre and ticket booth, where visitors staying on any east coast beach will have to shell out the park entry fees: 200 baht for foreign adults, 100 baht for foreign children, 40 baht for Thai adults and 20 baht for Thai children. Park rangers also meet speedboats as they arrive at beaches further south to collect the fees. You can usually avoid paying by staying in Samet Village or Ao Noi Na. Due south of the national park booth, Haad Sai Kaew is Ko Samet’s longest and busiest beach. From here a sealed road cuts southwest and passes alongside the small, party-oriented beaches of Ao Hin Khok and Ao Phai. Further south, another road verges west to upscale Ao Phrao, while the main road continues south to dirt-road turnoffs for Ao Tubtim, Ao Nuan, Ao Cho, Ao Wong Duean, Ao Sang Thian, Ao Lung Dum, Ao Wai, Ao Kiu Na Nok and, lastly, Ao Pakarang, all of which stretch along the east coast. Generally speaking, the vibe is busy and party-oriented from Ao Phai north, and more laidback and family-oriented from Ao Tubtim south. When choosing your mode of transport, keep in mind that the main seven-kilometre road gets darn hilly as you head further south — see the travel section for more info. Camping is possible on Samet and there are times when tents are the only options for those who arrive without room reservations. We noticed some campers at the national park station next to Ao Lukyon, a tiny northeast coast beach accessible from Samet Village. A few small resorts, including Apache and Chom Samed, allow campers to set up tents for a fee. Camping is not allowed on beaches, but we met a man camped on the hill between Ao Nuan and Ao Cho. Camping is also possible on Ko Kudee, though Khao Laem Ya on the mainland is perhaps the best option for camping in the area. Two ATMs are located at the 7-eleven next to Nadan Pier, and another two at the twin 7-elevens on the main drag in the village. We also spotted ATMs at the entrance to Haad Sai Kaew; at Tubtim Resort on Ao Tubtim; behind the convenience store next to Samed Cabana Resort on Ao Wong Duean; at Sang Thian Resort on Ao Sang Thian; and at Samet Ville Resort on Ao Wai. Currency exchange booths are found in Samet Village and Ao Wong Duean. In addition to the main police station in Samet Village, a tourist police booth is found in Ao Wong Duean. A couple of internet cafes still do business in Samet Village. Virtually every place to stay and many restaurants and bars offer free WiFi, though it’s notably slow on Samet. The 3G signal on our Thai provider smartphone was often faster than WiFi and worked well throughout the island.  Please sign up as a Travelfish member to download the Ko Samet guide PDF (2.8 MB, 65 pages). Membership costs just A$35 per year (less than A$1 per week) and gives you access to over 250 PDF guides. 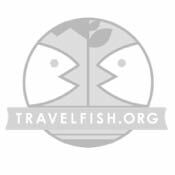 Use the above map to find specific destinations in and around Ko Samet which are listed on Travelfish. Bed icons indicate a guesthouse, hostel or hotel, the knife and fork is an eatery or bar and the four-way circular thingy marks sights, attractions and other points of interest. Click on any icon for a short pop-up and a direct link to the page for that spot. If you are in the area, use the teardrop icon near the top left to show your position on the map (you'll need to allow position sharing for this last feature to work).